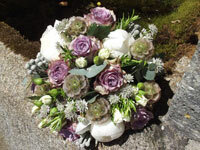 We believe the flowers you choose for your wedding or event set the tone for the whole day. 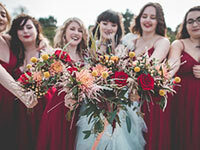 At Emma Hewlett Floral Design, we specialise in creating beautiful bespoke wedding and event flowers for brides and venues across South West England, including Devon, Somerset, Dorset, and Cornwall. 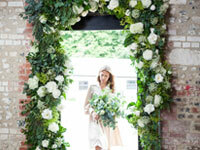 Our expert floral designer Emma will personally create your dream luxury wedding flowers and event arrangements, working with seasonal flowers to perfectly complement your style. 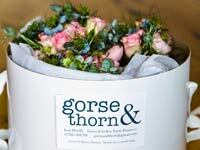 Award-winning florist, Hannah Burnett, is situated on the outskirts of Plymouth. 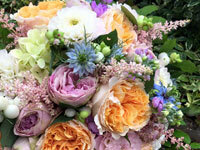 Hannah offers a bespoke, professional service, providing stunning blooms for your special day. 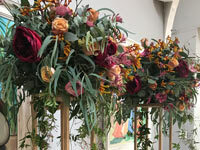 Using only the best quality flowers from both local growers, and Dutch wholesalers, Hannah enjoys creating both traditional country style designs, as well as more contemporary displays. 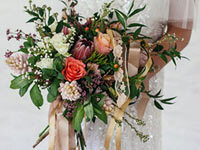 Hannah’s passionate enthusiasm for floristry, combined with her many years experience and friendly attitude, has given her an outstanding reputation for weddings across the South West. 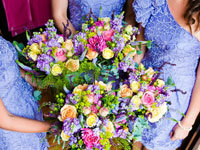 Simply Flowers has been providing stunning wedding flowers throughout South Devon, Somerset and Cornwall, we have been privileged to work at the most prestigious venues in our area including: Burgh Island, Bovey Castle, Powderham Castle, Buckland–Tout–Saints, and Haldon Belvedere. 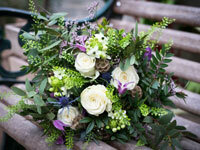 At Simply Flowers we take a personal approach to you and your event, whatever the occasion or budget. 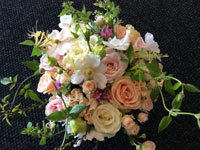 Kate is highly qualified and can create flowers that will amaze you and give that “wow” factor to your wedding – we offer a personal design consultation service so we can make your day simply perfect. 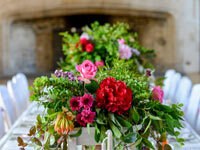 Hannah is passionate and committed to using locally grown flowers and creating table styling out of the ordinary. Hannah thinks of every project as a commission, a design project with a brief. 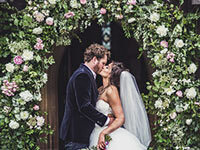 Decoration and flowers designed for you and dressed at your venue. 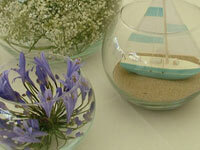 Hannah welcomes weird and wonderful ideas and encourages creative thinking and sharing. 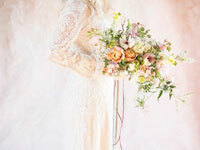 Hannah turns clients ideas into workable, displayable themes of outstanding quality. 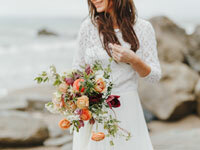 Miranda is an artisanal florist who works closely with the seasons to provide very loose and naturally styled designs for weddings, using locally sourced materials. 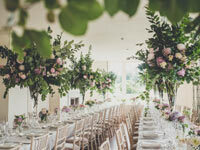 Recently moved from Berkshire to the heart of the Devon countryside she continues to use flowers and foliage to suit each couple's style - be it large free-form hanging foliage displays or whimsical bouquets of English country garden flowers and herbs.